adidas Is All In With Dr Pepper Dallas Cup | Dallas Cup, Inc.
Dr Pepper Dallas Cup is pleased to announce a multi-year partnership with adidas, making the iconic sportswear company the exclusive apparel and product provider for the elite international youth tournament. As part of the partnership, adidas will provide match balls, official tournament apparel and gear, and a wide range of adidas/Dr Pepper Dallas Cup licensed products. Additionally, adidas will provide the Dallas Cup with assistance in securing Super Group participants. "adidas Soccer is proud to partner with Dallas Cup and support the most storied youth soccer event in the country", said Peter Withers Sports Marketing Manager for adidas Soccer. "The history of Dallas Cup is unrivaled, and the competition has become the breeding ground for the top youth players in the country and the world. adidas Soccer strives to build, support, and nurture events and programs that create opportunities for our sport to grow and players to get better. This event allows our MLS Academies and top-level clubs to test themselves against the world's best in a true player development atmosphere." The Dallas Cup will be celebrating its 35th anniversary in 2014. Clubs participating in this year’s tournament include Premier League U18 Champions Fulham FC, popular Mexican side CD Guadalajara, and 2013 Super Group Semifinalists, Fluminese FC of Brazil. 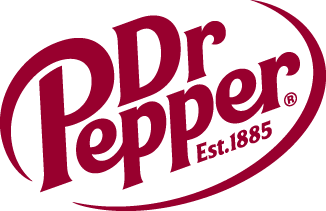 Dr Pepper Dallas Cup XXXV will run from April 13th through April 20th, 2014. In conjunction with the new partnership, it was announced today that Argentine powerhouse, CA River Plate, and the preeminent Belgium club, RSC Anderlecht, will compete in the Gordon Jago Super Group for the 2014 tournament. Both clubs hold the distinction of having claimed the most first division league championships for their countries. This marks Anderlecht’s debut in the Gordon Jago Super Group and River Plate’s first appearance since 2009.